Will The Court Take All Of My Money From My Bank Account If I File Bankruptcy? No, the Bankruptcy Trustee (who is an officer of the court) will not necessarily take all of your money from your accounts. This scenario would only play out if you had a great deal of money in an account on the date of filing a St. Louis Chapter 7 bankruptcy. But there are certainly ways of avoiding such an outcome. When you file a St. Louis bankruptcy, the Bankruptcy Court will require that you disclose all of your assets, belongings, and property (both real and personal). Disclosing your assets does not mean that you lose them (in other words, just because the court asks you to draw up a list of everything that you own that does not mean it is going to turn around and take those items from you). Included on this list of assets are your bank accounts (checking, savings, money market, etc). In the case of a Missouri Chapter 7, if in fact you have a substantial amount in your bank accounts, the Trustee may demand that you turn this over. The Trustee would then use those funds to pay towards the unsecured creditors (credit cards, medical bills, payday loans, etc) that are subject to discharge. But this is only if in fact your accounts have substantial amounts on the date of filing. This of course begs the question, What is a substantial amount? If for instance on the date of filing your checking account has a balance of $2,500, then there is a strong likelihood that the Trustee will want that money. But if on the date of filing you have closer to $500 in your checking or savings, then there is a very low chance that the Trustee will want anything to do with it. In any case, figuring out which of your assets could potentially be taken by the Bankruptcy Trustee is very important information for you to know. Because if you have an asset that could fairly easily be protected, you certainly do not want to put yourself in a position of losing it. 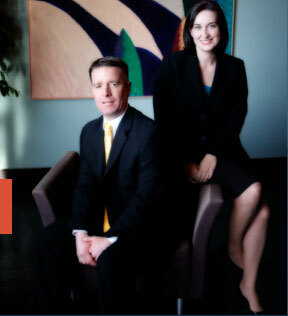 The affordable St. Louis bankruptcy lawyers at Brinkman & Alter, LLC have been assisting people with their financial issues for over ten (10) years. Our goal is to make sure that you get back on your feet, keep all of the assets you want to retain, get rid of all the debt you don’t want to keep, and do it all at an affordable price. We have two location: in the Central West End, at 1 North Taylor, St. Louis, MO 63108; and in the Twin Cities of Festus / Crystal City, at 1000 Truman Blvd (Highway 61/67), Jefferson County 63019. The initial consultation is free of charge. So contact us today to learn more! !